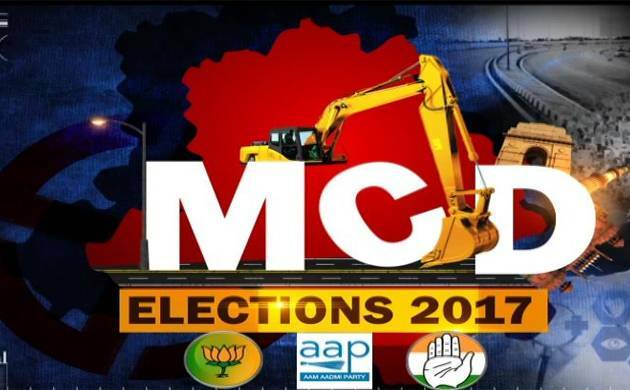 A plea seeking removal of the candidates’ party symbols from the electronic voting machines (EVMs) in the MCD poll was on Thursday dismissed by the Delhi High Court. “We are not inclined to interfere in the issue,” a bench of Acting Chief Justice Gita Mittal and Justice Anu Malhotra said and added that as far as the plea to include photographs of contesting candidates on the EVMs was concerned, it has been implemented by the poll panel in the MCD election. Sensing the mood of the court, the petitioner wished to withdraw her petition, which the bench termed “dismissed as withdrawn”. During the brief hearing, Delhi state election commission (SEC) sought dismissal of the plea. Any order on the petition “would directly affect all the national and state political parties. Since all the national and state political parties have not been impleaded in the present petition, it is liable to be dismissed on this ground alone,” SEC’s counsel Sumeet Pushkarna contended. He also submitted that the petitioner has not impleaded the Election Commission of India (ECI) as a party in the plea. The SEC “has been following the steps taken by the ECI...,” Pushkarna said. The SEC was responding to a plea by law student Sanjana Gahlot, who in her plea had said there was no provision in Part IX-A of the Constitution or the Municipal Corporation of Delhi (MCD) Act for the political parties or their election symbols to be mentioned on the EVMs. “The presence of a party symbol on the EVM is arbitrary, illegal, unconstitutional and violative of Article 14 of the Constitution. The SEC, have failed to conduct free and fair elections (by-elections in 2016 for filling up casual vacancies in posts of councillors),” the petitioner’s counsel had submitted. “The SEC is duty-bound to conduct free and fair elections and this duty is of public nature,” the plea had said. It had alleged that the state poll panel “simply” copied same format and design as was used by the ECI for elections to the Lok Sabha and state assemblies. The plea said that the MCD Act nowhere has reference to a recognised political party or to allocation of the symbol for contesting an election.